Successfully Added Baby Monitor Set - 1.5 Inch TFT Receiver + IR Camera to your Shopping Cart. 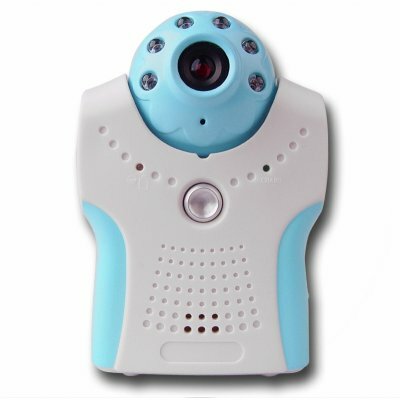 Popular, low priced high quality wireless Baby Monitor set with a wireless receiver with a 1.5 Inch TFT screen and a wireless IR camera. Babies will love the cute look as well as the soft color scheme, and parents will especially love the built in MIC in the camera, the loud 1W speaker in the receiver, and the convenience and safety a wireless Baby Monitor set can provide. Keep your baby happy and safe with our factory-direct Wireless Baby Monitor set. In stock right now, get yours today! Fait product value for the stated $$$. Picture receiving not so good for the distance between Ground Floor and 2nd.Floor. Great gizmo. Picture is better than I expected. True value for money product!